Старая цена: 1 859.16 руб. На складе более 10 25 шт. 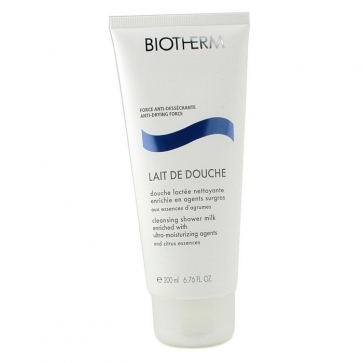 Biotherm cleansing shower milk. I find this really luxurious, as well as an excellent shower cleanser, it has a really divided ne scent. Biotherm Cleansing Shower Milk. Not only this shower cream cleanses you, it feels as if it nourishes the skin leaving it silky soft and beautifully scented. Nice smell, does not stay. Like bioterm product, decent and with nice smell but does not stay long, thus make the skin just comfortable. Good that can get good price rather than paying full price at local store or counter.